Nestled inside alleyways just North of Zhangzizhonglu Subway station, Capital Spirits is Beijing’s first (and only) speciality ‘Baijiu’ bar. Just in case you don’t know what Baijiu is yet, it translates literally as ‘White Spirit’ into English and can best be described as notoriously strong traditional Chinese alcohol. The staff can give you a detailed introduction to different Baijiu’s from all corners of China, as well skilfully mixing them into cocktails to make it (well in our opinion) a little smoother to drink. A current favourite cocktail is their ‘Mala’rita, a twist on a Margarita with Sichuan peppercorns added into the mix. 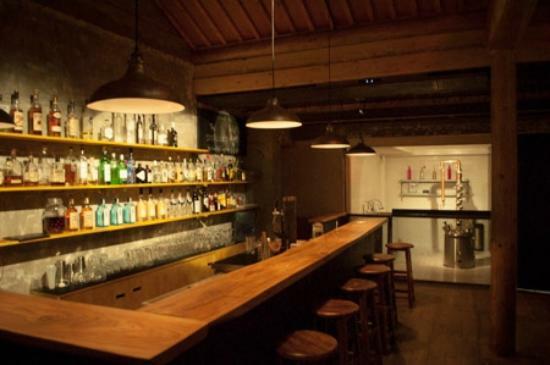 Visiting Capital Spirits Baijiu Bar is actually one of our favourite student events in Beijing. 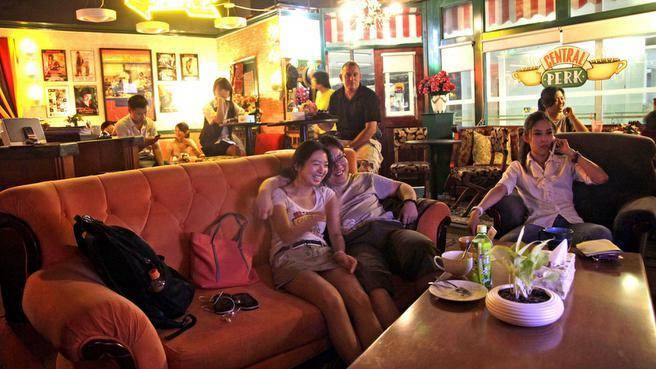 Beijing’s very own replica of ‘Central Perk’ is located in Chaowai Soho. The cosy cafe includes all the characters’ regular seats, as well as their offering their favourite cakes and pastries. Re-runs of friends are playing on loop on a TV in front of the famous sofa, Pheobe’s famous ‘Smelly Cat’- playing guitar is propped up in a corner, and if you head through into the backroom you’ll find yourself taking a shortcut to Joey and Chandler’s living room, complete with fußball table. Down to the details Central Perk is a fun and pretty accurate copy of the TV show cafe, a great place to grab a coffee, cake, and relax on an afternoon. We also recently posted a popular blog topic on translating Friends from English to Chinese. This oily, meaty parcel of beef wrapped inside a thick pastry is one of Beijing’s Muslim speciality dishes. The interestingly named Doornail Meat Bun has origins which are rumoured to go back to late Qing Dynasty Empress Dowager Cixi’s kitchen. We’d recommend that you’d go for a typical ‘Liangcai’ as a cold side-dish and wash it down with a Beijing-speciality soft drink, Arctic Ocean (‘Beibingyang’), which tastes a bit like a cross between Fanta and Orangina. Beijing’s Museum of Tap Water is a landmark to the feat of supplying safe, running water to the city’s many millions of inhabitants. It is located on the original site of Beijing’s first water plant, built in 1908. The exhibits inside the museum offers a history of China’s water systems, as well as an explanation of Beijing’s modern-day water treatment process. After perusing the exhibitions you can wander out into the courtyard to take a look at water pumps and pipes from a bygone era. A quiet way to spend an afternoon, we’d definitely recommend this museum as the perfect way to escape the crowds on even the busiest of China’s holidays. Despite being located just off the main road Dongshisitiao, Camero Stylo’s exterior is easy to overlook. A quiet cafe/bar decorated with film posters and memorabilia downstairs, public and private screening rooms one floor up, and combination of the two on the rooftop level (weather and pollution dependent). Screening works from inside China and overseas, Camera Stylo is Beijing’s window to independent cinema. It hosts film nights, interactive cinema events, as well as the occasional stand-up comedy night most nights of the week. Definitely worth a look in for a thought-provoking evening or just a quiet drink. A bustling shopping street, Liulichang Street hosts an eclectic collection of small antique shops with specialities in different areas. The street itself has been restored to mirror traditional Chinese architecture. You can find just about anything China has on offer: calligraphy brushes, Mahjong sets, traditional Chinese paintings, jade jewellery, the list goes on. It’s a great place to get all your souvenir copies, as well as genuine Chinese antiques. Beat your Beijing wintery blues by embracing the freezing temperatures and taking to one of the city’s picturesque frozen lakes, such as Houhai (Shichahai Ice Rink). 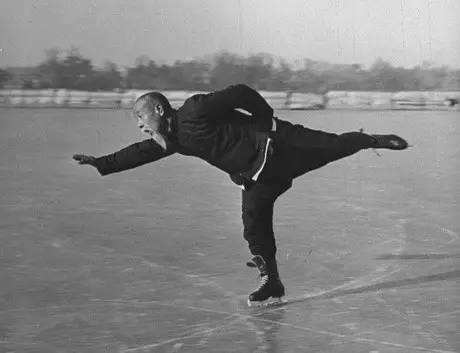 Go with a group of friends and see how many different ways you can attempt to cross the lake’s surface: ice-skating, ice-sled, bumper car. If you’re brave enough you could take an ice-y dip and jump into one of the not-quite-frozen corners. Despite central Beijing’s grid layout, navigating this capital city can sometimes be a bit of a challenge. In between the N-S/E-W lattice of main roads is one of Beijing’s most characteristic features: ‘Hutongs’ or alleyways. Aside from some of the most famous re-vamped Hutong Streets, such as Nanluoguxiang and Wudaoying Hutong, taking a wander through any section of these narrow streets can provide you with a whole host of new things to do in Beijing. Behind the closed Hutong doorways and windows, there are hidden away community spaces, art centres, bars, cafes, music venues, museums, occasional Cultural Revolution-era graffiti (so we’ve heard), you name it.